It seems like the Indian unit of the US based leading car maker Ford Motors doesn’t want to leave any stone unturned in making sure that its recently launched entry level sedan – new Global Fiesta – reaches more and more people. After successfully implementing the idea of Fiesta Cafe, the company has come-up with yet another unique program - ‘The Fiesta Experience’ – in the country. In this program, the car maker has brought together a number of people together from different walks of life, to take part in a 10 day driving program from National Capital to Diu. The total distance that covered through this program was 1310 km, during which the participants shared their real time experience with Ford Fiesta. After the completing of the drive, the professional participants like Vikram Aditya Singh (a Video Journalist), Shruti Sharma (a Travel Writer) Monica Joon (a Professional Sportsperson), and Archit Rakheja (Adventure Consultant), are sharing what they experienced during the drive through the television commercials. These commercials have been shot along the way during this drive. The first of such commercial aired on August 19th, showing new Global Ford Fiesta performing through real world situations. 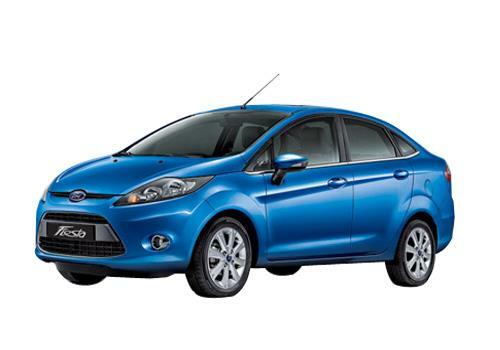 The new Global Fiesta was launched in the Indian market last month in both diesel and petrol versions. While the petrol version starts at Rs 8.23 lakh, the diesel version carries a starting price tag of Rs 9.27 lakh. The car is competing with the likes of Hyundai Verna Fluidic, Fiat Linea, Honda City, Volkswagen Vento etc.